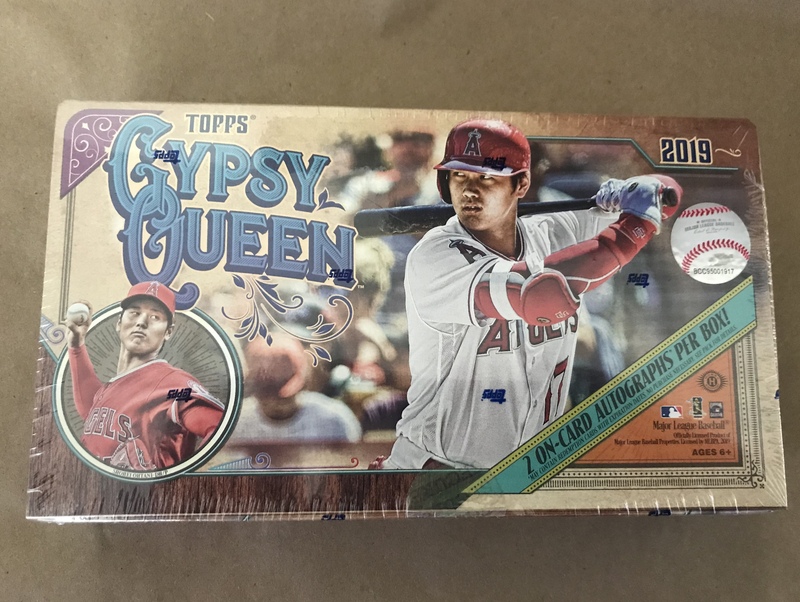 Stick to singles when it comes to 2019 Topps Gypsy Queen Baseball ($80 per box wholesale). The Sporting News says Topps works on products, like Series 1 Baseball, a year before it comes out. If they're doing that with Gypsy Queen it's time to reevaluate hiring choices. 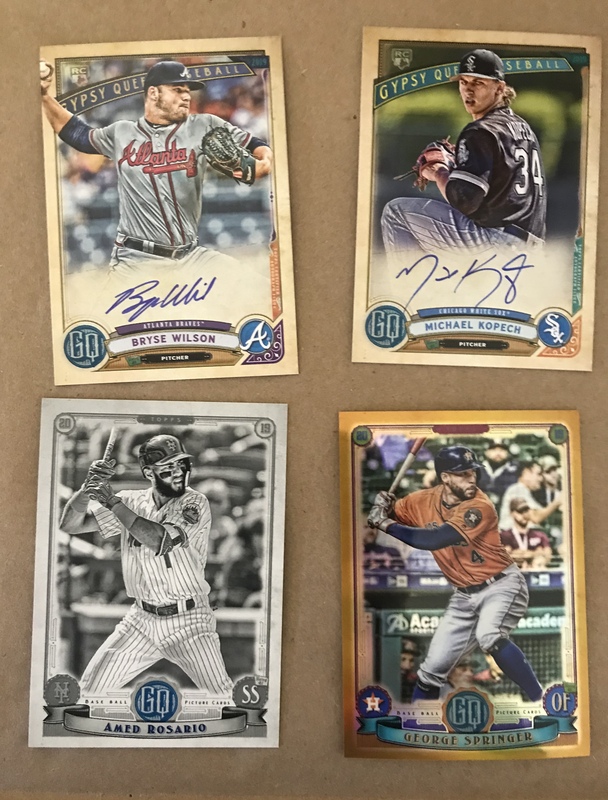 For a product with a weird name you'd think it'd be more interesting than opening a box of Series 1 ($49 wholesale), Heritage ($60 wholesale) or Allen & Ginter ($78 wholesale). If you do, try not to fall asleep during your 5th pack of Gypsy Queen in a 24 pack box. I feel like every low-to-mid tier Topps Baseball product has a similar theme. Likely pull a couple weak hits and spend the rest of the time hunting to see if you got some lame variation nobody will care about in a week. Monetarily speaking, I did well with the box I opened. The Mookie Betts 1/1 card will probably pay for the entire box. It's a 1:73,443 pull, so don't think you'll get something like that. Too often, I feel people in the hobby judge the box they open, good or bad, by the money they'll get back selling the cards. I try to not evaluate products like that. 2019 Topps Gypsy Queen is uninspired. The card images look like the close-cropped Series 1 card pictures, nothing is unique. Over the years Topps has cut the content and hits from Gypsy Queen, but still charges the same per box. I wish Topps would go back and listen to the Star Wars presentation from their own Industry Conference. The Lucas Film employee I felt did a great job explaining the different types of Star Wars fans and how every product doesn't fit them all. Topps tries to cater to everyone too often. Gypsy Queen isn't a "base" product (too expensive) and it's not a "hit" based product (only 2 hits). It straddles the line and therefore totally whiffs. This "something for everyone" mentality is why most of their products feel similar. I wish they'd pick one with Gypsy Queen. Make a collector, base heavy set, or make something that features the on-card autographs and hits more. Or, because it has a totally stupid name like Gypsy Queen do something off the wall and try something new. Good economy and good rookies are probably driving card sales right now. 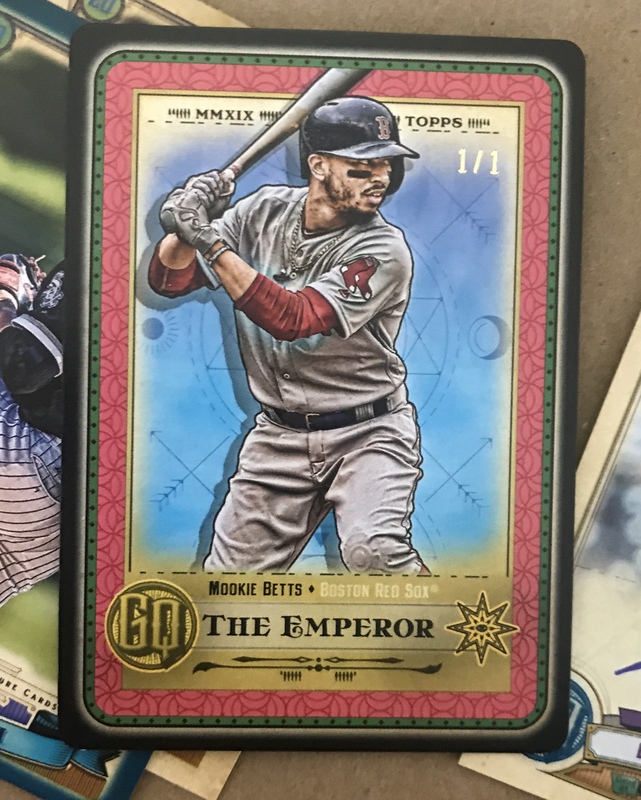 Hopefully Topps isn't sitting around patting themselves on the back for 2019 Gypsy Queen, even if it is a commercial success.